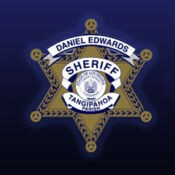 The official mobile app of the Tangipahoa Parish Sheriff’s office, where we are devoted to and remain instrumental in preserving the quality of life in our community by maintaining Tangipahoa Parish as a safe and secure place to live, work and play. Our new mobile App is completely free and allows you to submit a tip, connect to alerts, messages, services, and support. Get alerted about emergencies and other important news about Tangipahoa Parish by signing up for our Emergency Alert Program. This system enables us to provide you with critical information quickly in a variety of situations, such as severe weather, unexpected road closures, missing persons and evacuations of buildings or neighborhoods.